Blog — One Sound Music The home of the best in UK Gospel Music. 2018 has been a great year for gospel music, from the release of projects from big-tier American artists such as Jonathan McReynolds (our personal favourite) and Jason Nelson to independent releases such as Yaahn Hunter Jr and UK songstress Sarah Teibo. We’ve enjoyed lots of it here at One Sound, and so we thought we’d give you some of our favourites so far! Check out these tracks and more in our Spotify playlist, Current Gospel Mix 2018! So last summer, something profound, monumental and frankly amazing happened. The choir from Oakwood University in Huntsville Alabama came to the United Kingdom, competed in the choir of the world competition and were crowned 'Choir of the world' while their Director Jason Max Ferdinand walked away with the 'Conductor of the world' prize. They competed in many categories - Folk (they came 3rd for some reason), Mixed voice choirs (they came second) and Youth (they won this category) which enabled them go to the final and further raise the extremely high standard of excellence they had already set. It is a remarkable feat in so many ways, not least because Oakwood University is a HBCU (Historically Black College or University). HBCUs generally do not have the same resources as other mainstream universities so for one of these to produce a choir competing at the elite stage is a testament to a remarkable hard work ethic and a spirit of excellence. Anyone who knows me well knows that my musical journey started with me being part of a youth choir in my home church in Croydon. I've experienced first hand (as a member and as a choir director) the difficulty of leading a youth choir. The biggest difficulty (in my mind) is dealing with the transient nature of that phase of life. My youth choir was ranging from around 13-27 when I was in it and that is a time of a lot of change. Aside from the changes from junior to senior secondary school, to college/6th form and university, to work, there's also the fact that your body and mind is constantly changing and developing during those years. It is a highly transitionary time and as such it is difficult to find and maintain a commitment and excellence throughout those changes. Prior to the showdown in Wales, the choir completed a mini-tour where they performed in London, Birmingham, Manchester and Cardiff. I heard the Aeolians perform at St Pancras church in London on 1st of July 2017 and they were breathtakingly good. I think anyone who was there knows can attest to their brilliance. The power, clarity, versatility, tone and skill of the choir is something to behold. They have the unique ability to be at ease in pretty much any genre they choose, and not just be at ease, they can thrive in any of them. They would have been worthy winners for any of the categories in which they competed - whether Youth, Mixed Voices or Folk (Steve Murphy's arrangement of 'I want Jesus to walk with me' still gives me goosebumps and you can watch it here). However My theory is that they needed groups for each category to represent in the final, so I understand why they didn't win every category. We are privileged that a couple of UK artists who have featured on our channel are part of this illustrious choir. They are Naomi Parchment (https://www.youtube.com/watch?v=MNyCEehYPdM) and Jeharna South (https://www.youtube.com/watch?v=pF6AIkYTU9Q&lc=z223u5vgks22wthpl04t1aokg0vs5e3z434wrrxffguerk0h00410) and they are doing big things! They both played an integral role in the success of the choir as did all their peers. To the Aeolians of Oakwood University, Choir of the World 2017, we at One Sound Music salute you! Thank you for constantly raising the standard! Happy New Year! We are so grateful for seeing 2017 all the way through and making it to 2018! For our first blogpost of the new year today, we’re shining the spotlight on a talented singer-songwriter who performed at our Open Mic Night back in March 2017, her name is Elizabeth Vincent. Hi there Elizabeth, can you tell us a bit about yourself? Hey! My name is Elizabeth Vincent, I am 23 years old and I’m a Gospel/Christian artist currently studying Medicine at University. Welcome to the blog and thanks for joining us today! How long have you been doing music and songwriting? How many songs have you written and do you play any instruments? Officially, as an ‘artist’, I’ve been doing music for almost 2 years now. However, I’ve been creating music for longer than I can remember. I started singing at a really young age and I used to sing along to just about everything. (Side note: do you remember “Psalty” the TV show? Well, that was the show with all the tunes, haha). My earliest memory of singing publicly was at my school’s Christmas concert in year 6. Funnily enough, the other parents told my mum I should be doing opera; oh, how things have changed! I play the piano and I would love to learn how to play the guitar one day as it’s much easy to carry around, haha. I write songs but the specific amount; they are too numerous to count lol! I’ve been songwriting for several years but I always say that I think my songs ‘took shape’ when I started learning the piano. When I was younger I definitely did not think I’d be pursuing music the way I am now - thank God for the Holy Spirit’s leading. Following the Spirit's leading, that's the way to go! I do know of Psalty the singing songbook (I think that's what it's called) although can you imagine, I've never watched one show 😱 It's interesting that opera was suggested for you as I haven't gotten that vibe from your work lol. I guess your style has grown as you've grown over the years! How did you get started in music and what made you decide to become an artist? The decision to do music officially as an artist involved a gradual process of God slowly nudging me and using individuals to encourage me to share the music He’d blessed me with. I’ll be honest, initially I was hesitant, however it truly is a blessing to see people relate to songs that I wrote from my heart. To begin, I bought equipment, software (Logic Pro X) and started to lay down arrangements for my songs in my bedroom, and here we are now! Wow! It’s good that you listened & it sounds like once you decided, you were definitely very determined with getting started in music! Who would you say is your biggest influence? I would say my mum. Apart from being an excellent role model, she has always encouraged me to pursue my interests (singing, piano, art, poetry etc) and I appreciate her so much for that. That’s amazing! Ok so speaking about influences, I believe that ever artist is the sum of their individuality plus all the artists who influenced them the most. Who is your favourite Christian/gospel artist & what's your favourite album? This is so difficult, but one of my favourites is Christon Gray as he’s an incredible vocalist, producer, and is extremely humble and authentic. As for my favourite album, at the moment I’d have to say Marvin Sapp - Close. I have listened to that album on repeat since it was released in September. I have to check out Christon Gray, haven’t heard of him before! Also I haven’t yet heard Marvin Sapp’s New album so I’ll add that to the wish list! If there was 1 artist you could work with, who would it be and why? 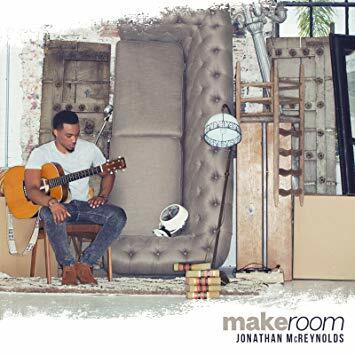 There are so many artists I’d love to sing with but if I had to pick one right now I’d say Jonathan McReynolds. His heart for God, his authenticity and his talent is admirable, but also musically I think his high singing voice and my low-tenor/alto-range may sound nice together! Ok so moving on, let’s find out a bit more about you as a person. If you were stranded on a deserted island and could only take 3 items with you, what would you take and why? Do you have personality quirks? Hmm 3 things? Probably my Bible, a lot of water and a swiss army knife for food and to make a shelter. We’re all quirky in some way! Despite how reserved I can be, I am actually a lot more hyper than people think. Also, I don’t know if this is weird but when I am sitting by the piano, or somewhere else, writing a song I can immediately hear what the whole band/orchestra sounds like, in my head. Whoa, that sounds amazing! You’ve got that composer Beethoven thing going on. Would love to hear one of your full productions soon! If you could go back in time for 1 day/week, what year/era would you travel to and why? Hmm, minus all the negative history, musically, I’d love to travel to the early 20th century to hear artists like Mahalia Jackson (~1930s) and Duke Ellington; OR even further back to the Classical era to meet composers like Bach and Beethoven. I love classical piano and jazz so that would be a dream for sure! Good answers; You’d be very much sought after for both musical and theological insight! So last year Jonathan McReynolds & Travis Greene caught some flak for their different responses to being asked to sing at the inauguration of the US President. How do you choose what to sing/where to sing? How do you decide what gigs to turn down? I really love this question. In terms of where to sing, the moment I get an invitation somewhere I commit it to God in prayer. In the process I also assess what sort of invitation it is, logistics, and enquire further about the gig. All of this combined helps and guides me to approach the decision with wisdom. Sometimes the gigs to turn down receive a gentle “no” from the Holy Spirit, so I have to pay very close attention to not miss that. There is also a lot that goes into picking a set list. I go through many options before I end up with the main ones for the night (+ a few back ups). Again, it starts with prayer, then I think about the type of event and “audience” demographics. However, it’s important to not let that last factor sway your decision too heavily as I have been pleasantly surprised at the songs people of different age ranges have responded to. I hear that, it’s always good to get others views on these things. Being Spirit-led & practical is so important as an artist because there’s so much choice that wisdom is necessary! Aside from music, what would you say is your biggest passion? In all I do I just want to represent God well, whether that be through personal relationship with Him, serving others, or my studies, so I would say that is my biggest passion. Although I may not be able to speak explicitly to patients about Jesus, I try and represent Him well through my acts of love, care and dedication. Medicine truly is a career close to my heart and I am grateful to be able to study it! Amen! Jesus had that way of speaking to ordinary people using ordinary things without quoting scripture (though He was grounded in it and He is the word). Sometimes we need that subtlety to reach people! So it’s a new year, what does 2018 hold for you? 2018 has just begun but let me tell you, God has been so gracious to me (as always!). I am so grateful for every person God has brought my way to support me on this journey, their encouragement has gone a long way. In 2017 I was privileged to participate and win the ‘Yamaha Gospel Star Search’ competition and my music video for ‘Father Can I Call You That’ was nominated for the JUMP Music Video Awards. All these incredible things could not have happened without the grace and mercy of God. All this to say: the rest of 2018 excites me and I cannot wait to see what else God has in store. That is amazing, well deserved and hopefully more to come this year! Is there anything else you'd like to share? Even though I haven’t been doing music professionally for very long, I’d just like to encourage people who are considering it. I’ll tell you firsthand that the music industry can be a very daunting place. At times it is difficult to navigate and there are many things to research along the way. However, it has also taught me great lessons: be creative, rely on God alone and believe in the gifts He has given you. The saying “your gifts will make room for you” is true. Also, please remember that your impact is not determined by the number of people that follow you but rather, on the individual lives you’ve touched. That is much more rewarding. Do not worry about how far you think other people have gone, as comparison is a thief of joy. Be content at every stage, your journey is not the same as the next person’s. And, more than anything, do not allow “busy-ness” to stop you from pursuing that deeper relationship with God - fight for your time! Well said! Where can our readers see you singing live? Do you have any upcoming gigs/dates to share? Alongside my degree I am working underground on my next project, so there are no confirmed dates as of yet. Nevertheless, keep an eye on my website (www.elizabethvincentmusic.com) and social media for updates. Thank You Elizabeth, my Gospel Singer/Songwriter/Pianist/Medical Student Friend! You can catch her on her website and socials below!